The Hubble Space telescope photographed an enormous, balloon-like bubble being blown into space by a super-hot, massive star. Astronomers trained the iconic telescope on this colorful feature, called the Bubble Nebula, or NGC 7635. The bubble is 7 light-years across � about one-and-a-half times the distance from our sun to its nearest stellar neighbor, Alpha Centauri. 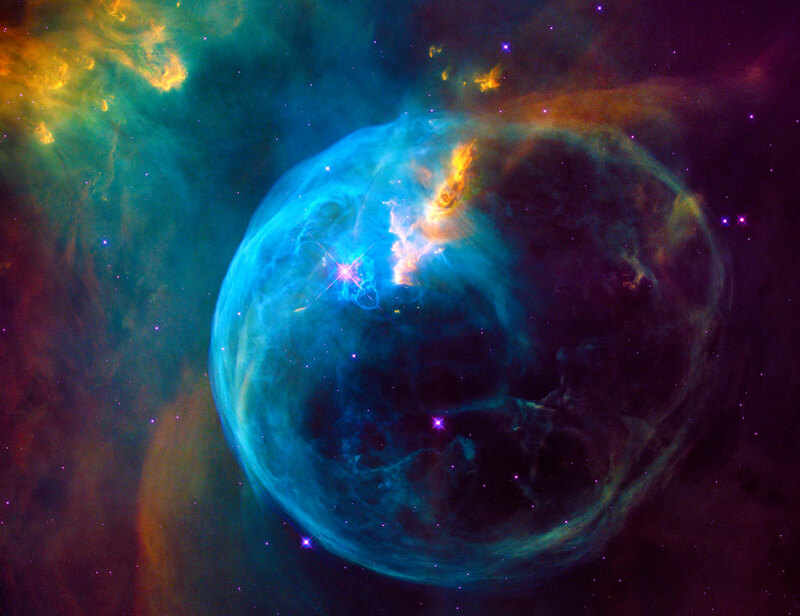 The Bubble Nebula lies 7,100 light-years from Earth in the constellation Cassiopeia.